The Parker Aerospace Aircraft Wheel & Brake Division, a global industry leader in aviation wheel and brake technologies with over 80 years of engineering pedigree and experience, and Piaggio Aerospace, a leading Italian aircraft manufacturer active in the business and defense & security sectors, today announced that the program aimed at offering owners and operators of the P.180 Avanti, Avanti II and Avanti EVO the opportunity to select an alternative retrofit configuration for the wheels and brakes of their aircraft is now in the advanced stages of development and certification. The program was designed last year as a mutual commitment to provide continuous quality and substantial economic value over the whole life of the product. Recently completed are the overpressure, radial load, fatigue (roll), and brake endurance tests, while the final wheel load tests are scheduled for completion in the month of October. Preliminary physical fit and static functional checks have been conducted on both configurations of landing gear of the Avanti and of the Avanti EVO. On-runway braking tests will take place next year, with final approval and release of the product expected in the course of 2018. At NBAA-BACE (Las Vegas, 10-12 October 2017), Piaggio Aerospace is present at stand C11920 and displays one of its Avanti EVO aircraft in the static area at position IS_7. 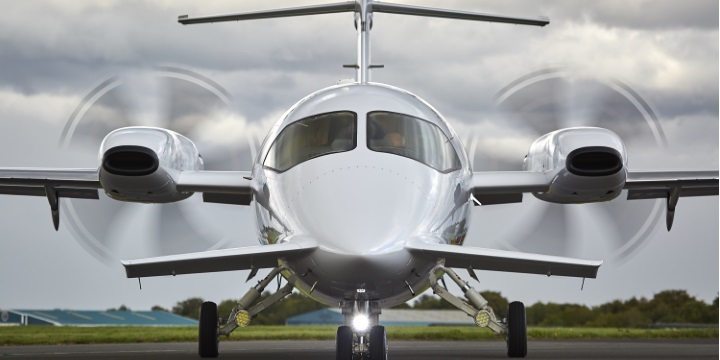 Avanti EVO is its state-of-the-art business aviation product. Currently, there are around 220 P.180 Avanti aircraft in operation globally.